ceremony. I had the pleasure of working with Secretary Ronald Brown and of knowing many of those who perished here, so this has been an emotional day for me. 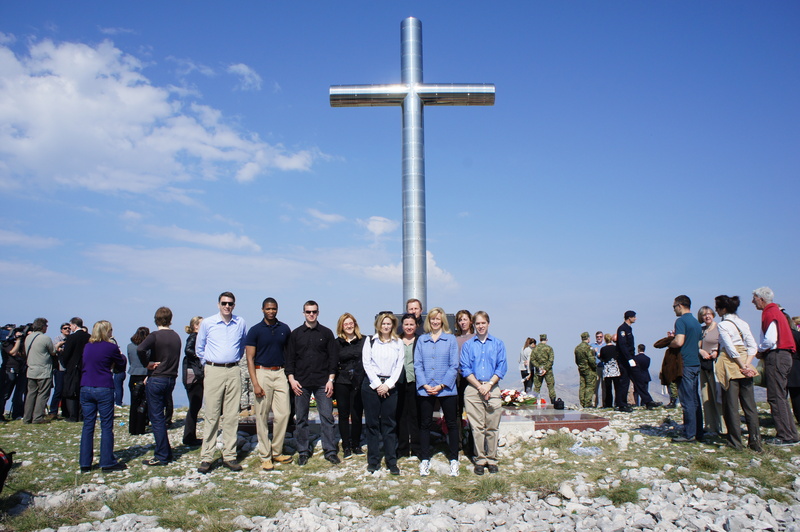 I would like to express my personal appreciation and the appreciation of the Department of Commerce to the people of Croatia for keeping the memory of all those who were lost here by celebrating their lives every April for the last fifteen years. This beautiful memorial is a fitting tribute and I must say a special thank you to the people of Dubrovnik-Neretva County for building and maintaining it with such obvious care and respect. We miss all our friends and colleagues and we thank you for helping to make sure they and their mission are never forgotten.